I've lived in Toronto for over a year but up until Sunday evening I'd never been to Sugar Beach before! After celebrating one of my best pals' at her Bridal Shower (s/o Gill), Geoff and I grabbed Oreo McFlurrys' and walked down to Sugar Beach to watch the sunset and catch up on each other's weekends. It's a quick walk from Geoff's place near the St. Lawrence Market so now that the nights are longer and the warm weather is finally here, I think it'll become an easy stop during an evening stroll. 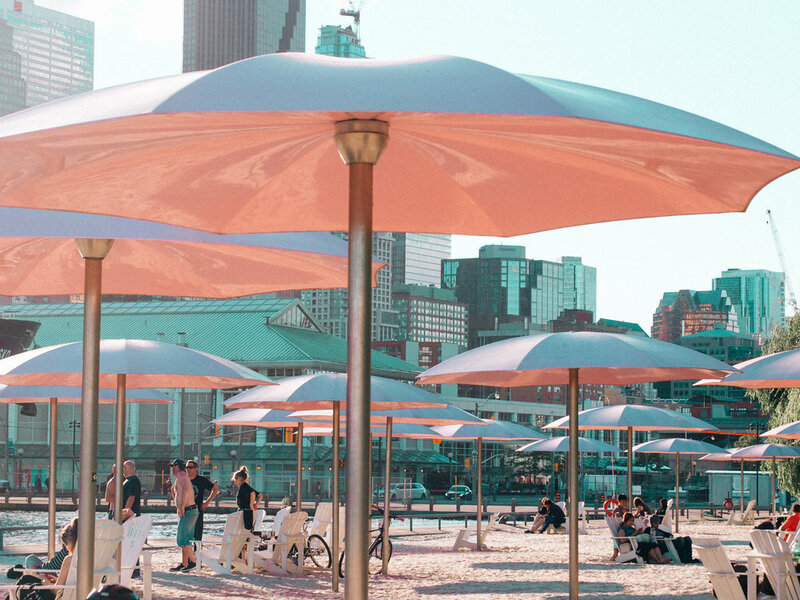 There are also FREE outdoor movies at Harbourfront (just beside Sugar Beach) starting July 5th which makes it an even more enticing spot this summer.